It’s true that you can do influencer marketing without any help. And it’s true that you should be doing it! According to Nielsen, recommendations from friends (or influencers) remain the most credible form of advertising. So you can compile a spreadsheet of potential influencers to work with. Create an email list. Track followers and engagements by hand. But you may find that everything is easier if you just use an influencer marketing platform. Here are 5 reasons why you shouldn’t go the DIY route. 1. An Influencer Marketing Platform Saves Time. We’re all busy. We all want to work smarter not harder. That’s one big bonus of using an influencer marketing platform. You can forget spreadsheets and Google searches and instead do all your research and execution in one spot. 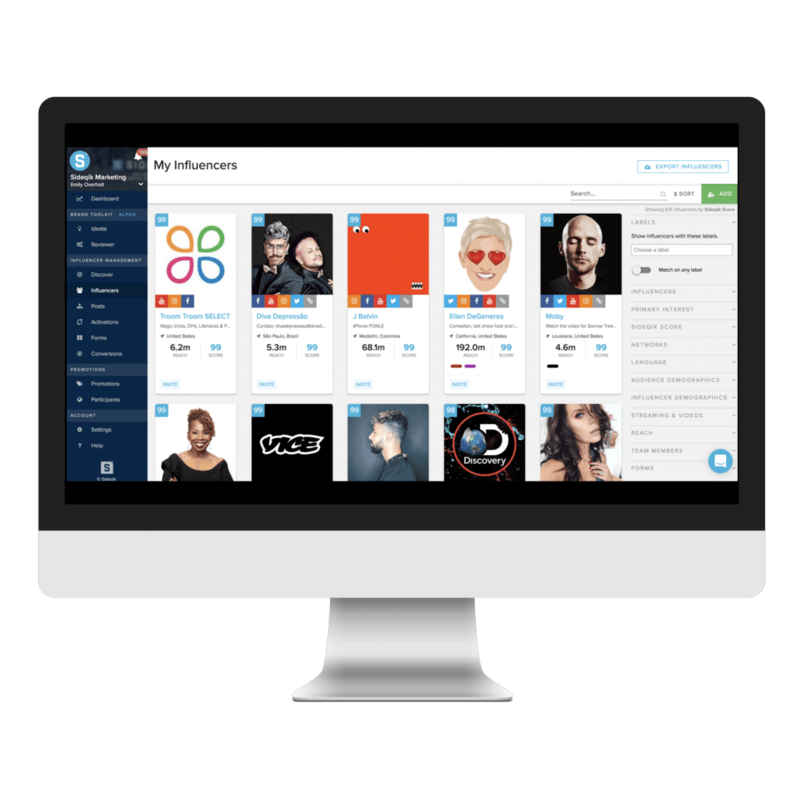 Influencer marketing platforms allow you to search through millions of influencers. At Sideqik we take the guesswork out of looking for who is talking about relevant topics. You can search by interest and keywords so you find people who are passionate about your product. 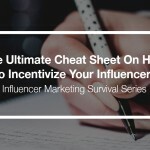 Whether you want mega-, macro-, or micro-influencers in your marketing strategy, and influencer marketing platform will already understand the best practices for finding those influencers. This takes time and energy out of finding the right people to partner with. Studies suggest 55% percent of marketers are still managing their influencer programs by hand. Switching to an influencer marketing platform could save tons of time. Sure, manually tracking data can work for one or two influencers. Maybe even a dozen. But can it really be sustainable when you’re working with hundreds on influencers across multiple platforms? You just don’t have the manpower to pull all those numbers. And the spreadsheets! Talk about a headache. By using an influencer marketing platform, you can scale more easily. Platforms help your program grow in a way that wouldn’t be possible if you were using the manhours to track each influencer and activation manually. Do you get bombarded with would-be influencers wanting to work with your brand? An influencer marketing platform can be an easy way to vet those influencers. Keep an eye out for tell-tale metrics that suggest influencers are faking their way to the top. With an influencer marketing platform, you can see real data on those influencers who want to work with you. Do you care about following? Engagement rates? Something else? All those things are stored in a central hub if you use a platform. Some influencer marketing platforms also have forms you can embed on your site so influencers can directly apply to work with your brand. This helps you make snap decisions based on who you want to work with. An influencer marketing platform can be more than your one-stop-shop for launching and monitoring a campaign. It can also help you in the long run. By labeling and keeping an eye on influencers in your space, you can predict influencers that are going to be important next quarter or even next year. This helps with your long-term strategy, so you’re always planning ahead. So are you still DIY or are you thinking of using a platform? Let us know in the comments!